Carrying the unmatched legacy, Honda recently unveiled the latest version of its Jazz series, Honda Jazz 2016. Offering lots of space, this model is adorned with efficient powertrain that won’t just give you performance but will also be light over your pockets. 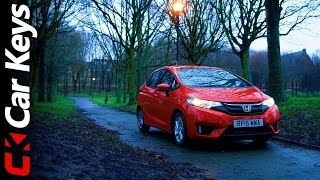 Let us have a look at this newly introduced model and get to know the specifications and performance through the review of Honda Jazz 2016. The interior of Honda Jazz 2016 is innovative, spacious and loaded with numerous safety features to provide you a comfortable and safe ride. The cabin looks neat with the buttons being placed well at the right places while the three-spoke steering wheel looks same as that in the previous models. However there is one thing new that we noticed, and it’s the Advanced Honda Connect infotainment system. The in-car infotainment system comes as standard and features ‘pinch, swipe and tap’ interface over seven-inch touchscreen. The android based infotainment system comes with pre-installed apps; however you do have an option of going to Honda App Centre and get instant access over the web browsing, real-time traffic information, news and weather, social platforms etc. 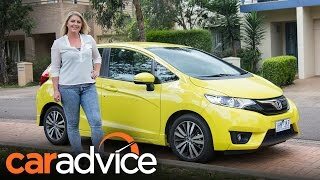 Rounding up the interior details of Honda Jazz 2016 I would say, it’ll be fun for you to ride this new release in your day to day travel. The exterior of Honda Jazz 2016 looks marvelous rolling over those 16” alloy wheels. Starting with the front fascia model is adorned with elongated headlamps sitting at the corners of traditional Honda grille. Beneath the setup are beautiful and powerful fog lamps that are new for the series. Moving towards the rear you’ll notice the heated door mirrors for better interior experience while the crease beside the door handle that move towards the rear adds to the gleam. The rear end of model designers tried giving it sporty touch. The taillights start marking their presence from the top of the rear window and extend till the halfway of trunk lid. Basically the set up is divided into three the top one comes as brake lights while the bottom is for indicator. 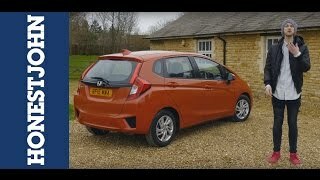 Rounding up the exterior details of Honda Jazz 2016 I would say, it has better look in comparison to its predecessors. Beneath the hood of Honda Jazz 2016 is an all new 1.3 Liter i-VTEC petrol engine offering you better performance and efficiency. Though the performance figures of Honda Jazz 2016 are not yet unveiled but we do know some facts. The setup will generate total output of 100 hp and will come paired to either a six-speed manual transmission or the newly developed CVT. For more information linked with the Honda Jazz we would request you to stay tuned with us, we’ll be updating the information as soon as company shares it.